The Navy's state-of-the-art aircraft carrier will be late coming out of the yard. 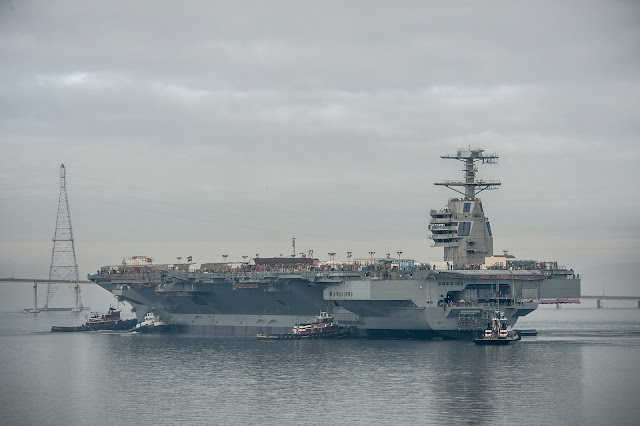 Sea trials for Gerald R. Ford will be delayed six to eight weeks due to "a slight deterioration" in the shipboard test program, officials said Tuesday. Ship delivery is scheduled for March 31, but could be affected by the results of sea trial. "This prudent step provides the most affordable path to delivery," said Cmdr. Thurraya Kent, spokeswoman for the Navy Research, Development & Acquisition. "All the work and any associated schedule delays are being managed within budget and below the $12.887 billion cost cap."